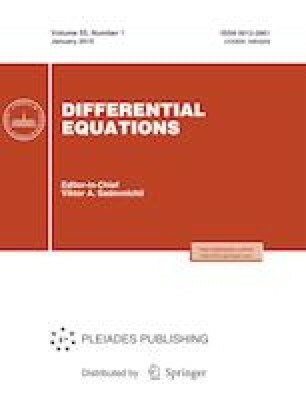 We establish results on the unique solvability of control problems for the Korteweg–de Vries equation and its linearized analog in a bounded domain under an integral overdetermination condition. For the Korteweg–de Vries equation itself, we impose smallness conditions on either the input data or the time interval. These restrictions are absent in the linear case. For the control we take either the value of the derivative of the solution on one of the boundaries or the right-hand side of the equation, which has a special form. Russian Text © A.V. Faminskii, 2019, published in Differentsial’nye Uravneniya, 2019, Vol. 55, No. 1, pp. 123–133.